If there is any location in the world to put on your bucket list of places to visit, the British Virgin Islands would have to be somewhere at the top. Imagine the wonderful turquoise bliss that you will get to sail around on this wonderful 2013 Jeanneau Sun Odyssey named Sara. 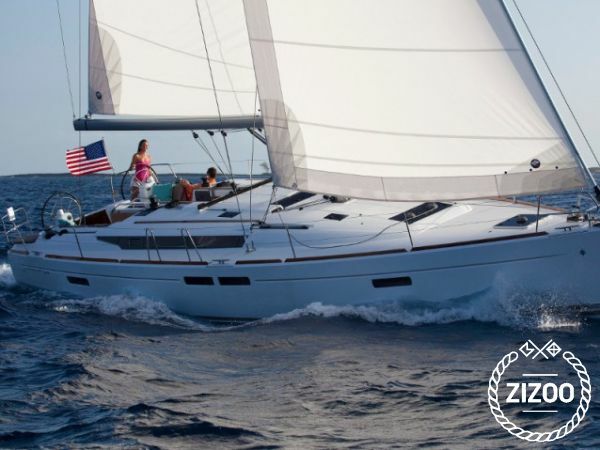 Based in Tortola, it can accommodate 8 people comfortably in its 4 cabins and spacious salon. Featuring a fully equipped kitchen and 4 bathrooms, there really is no better way to explore paradise than on a sailing boat. Of the 60 islands that comprise the British Virgin Islands, there are an ample number of locations to visit and destinations to choose from. One of our favourites is the island Anegada, meaning 'Drowned Island'. With its highest peak only 28 feet above sea level, you can understand why it's called so. But what makes it so attractive are the coral reefs that surround the island which gives you the perfect excuse to go snorkeling and explore this magnificent wonder of nature. For more ideas and destinations, don't hesitate to contact your local crew.